What is PayPal Checkout and how can I get paid using this solution? If you want to give your customers a smooth and uninterrupted shopping experience, PayPal Checkout is for you. This add-on allows you to receive payments securely while keeping shoppers on your website or mobile app throughout the process. A few clicks or taps is all that is needed. You can even customize the experience to ensure the shopping experience feels smooth and uninterrupted. 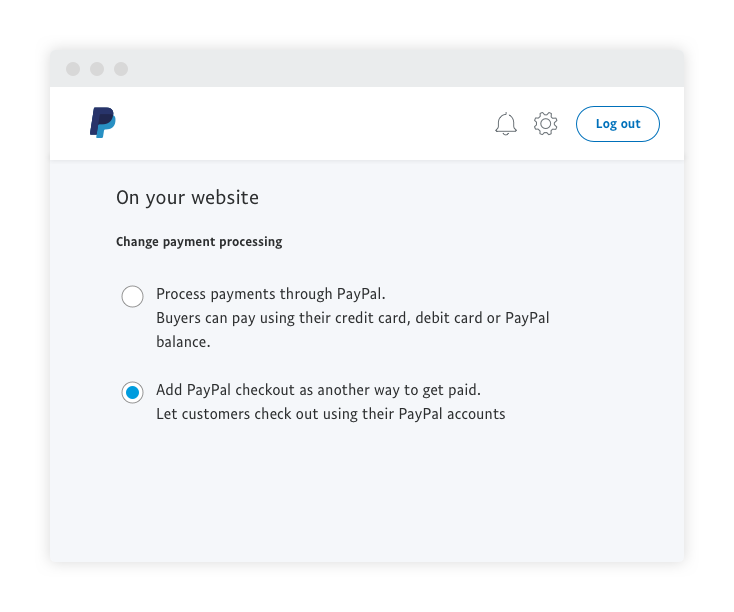 PayPal Checkout integrates the checkout process onto your website to make payment quicker and easier for your customers. They have the option to pay using a preferred debit or credit card, or sign into their PayPal account to skip typing in their billing and shipping information. Like PayPal’s other payment solutions, there are no monthly or setup fees. You only pay when a sale is made. How does PayPal Checkout work? When customers confirm their order, they are directed to a PayPal overlay where they can choose to sign in to their account if they have one. Once they have reviewed and completed their purchases, they’ll be brought back to your page. Before you start, you will need to activate your account. Once you’re done with this step, you can begin the process of adding PayPal Checkout to your website. Step 1: If you want to let your customers pay without a PayPal account, make sure you have the first option selected. 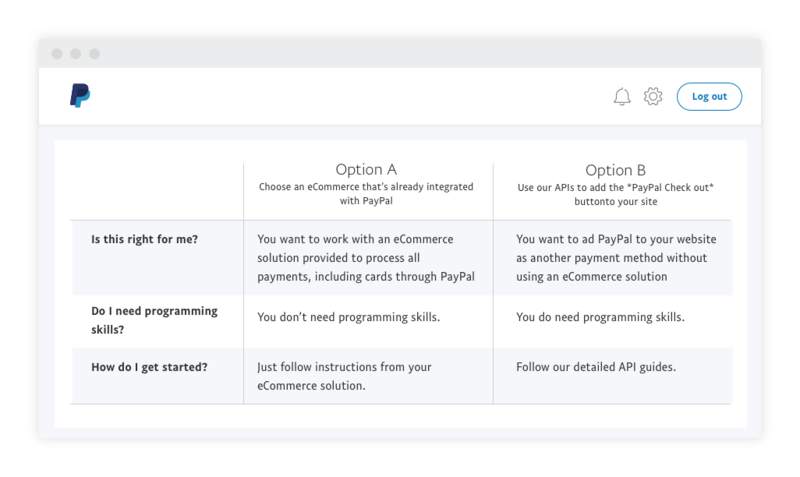 Step 2: Choose how you want to integrate payment onto your website. If you already have a shopping cart in place, follow the steps from the provider’s integration guides. Some of the partners we work with are featured below, with the full list in our directory. You can also try out a demo or check out our global community forums to see what others have done. Step 3: If you do not have a shopping cart, you can add the button directly into your website. Adding the PayPal Checkout button to your website will require some knowledge of API integration language. We have a guide for developers on how this can be done, that also shows how you can customise the look to suit your style. That’s it! You’re done. Start creating the checkout experience you want for your business with PayPal Checkout now. Open your business to the world with PayPal’s payment and invoicing solutions. Get paid, send invoices and more. Find out how PayPal can help your business grow. Choose how you want customers to checkout on your website and mobile app.